Having described Her four arms and what She held in them, having portrayed Her general physical features including the autumnal full moon of the divine face, the shloka #7 ends with the svarUpa-lakshaNa (Inherent Definition) of ambaal. This is the core of the core. She is the personification of the ‘I-ness’ of the Absolute Brahman. I have talked about it earlier. In other words She is the cit-Shakti Itself. She is jnAna in form. She is jnAna-ambaaL. ‘purastAd AstAm naH’ - May She appear before us. May She become cognizable for us. Note the use of the word ‘us’ (‘naH’) here. 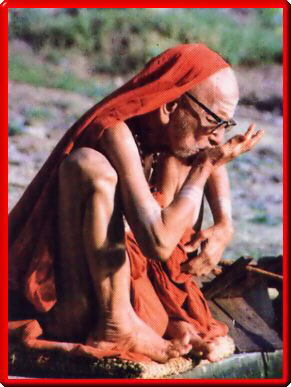 Our Acharya is praying for us all. It is not ‘me’, but ‘us’. The purpose of the graphic description in this shloka is for us to keep Her before our mental vision.